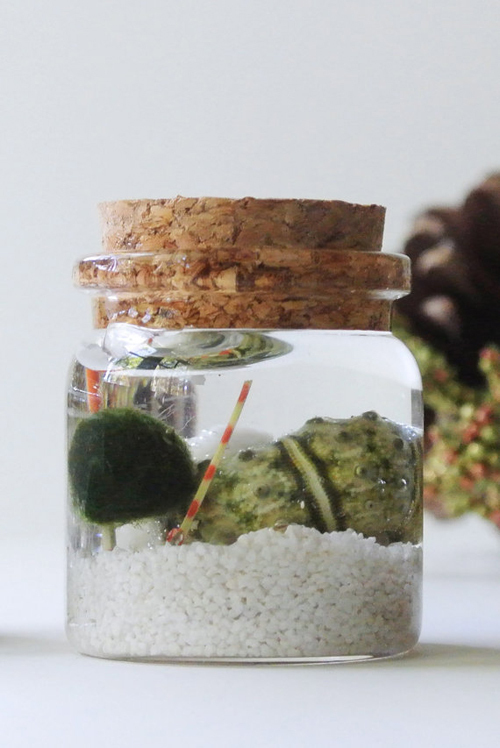 A Terrarium from the Zen Succulent – Greenery You’ll Love! I’m so happy to be writing this post! 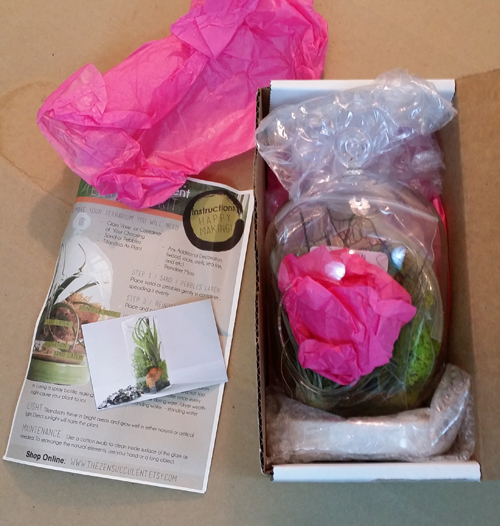 I received a terrarium from the Zen Succulent on Etsy for review. To say I was excited, is a complete understatement. I’ve been wanting to start collecting succulents and air plants, for the longest, but plants I’ve bought from the past had a shorter life span than bacon on my breakfast plate (I love bacon)! 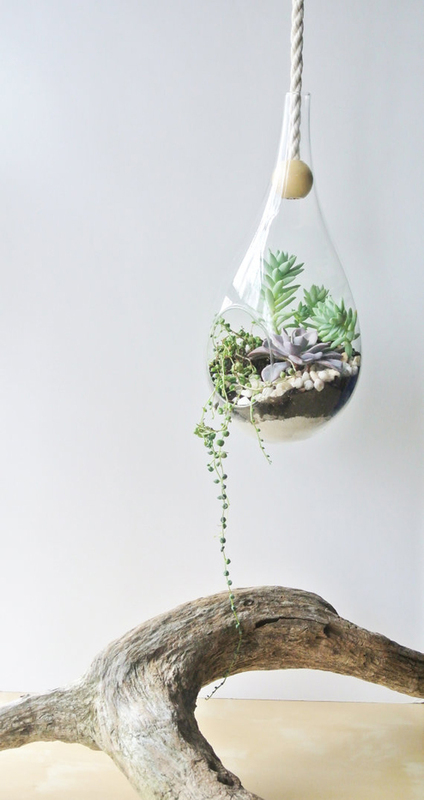 The Zen Succulent has some of the most beautiful terrariums I’ve seen and their Etsy shop is full of gorgeous images of the different ones that they offer. 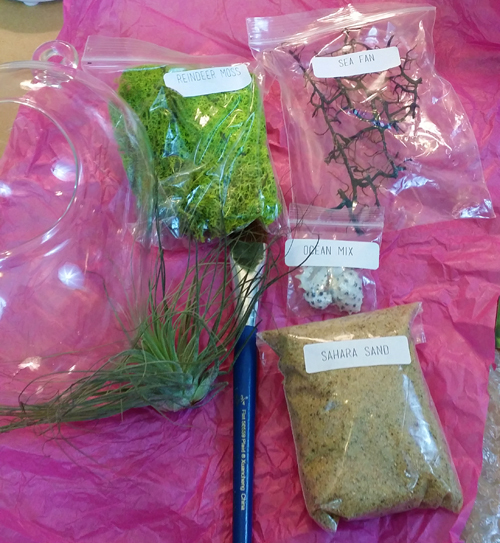 So, when my terrarium arrived, it was boxed well and everything came out easily. Here’s a close of view of the packaging. 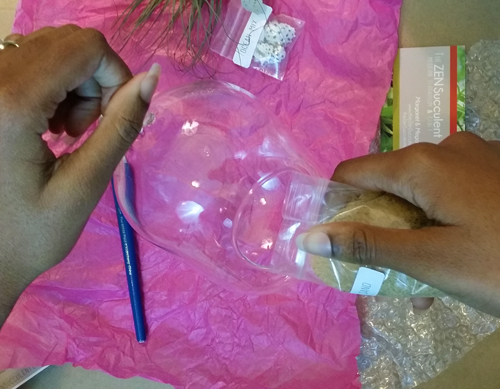 Everything was packaged in small plastic bags for safe keeping and stuck inside the vase. This ceramic stand is also included. The vase goes on top of it. 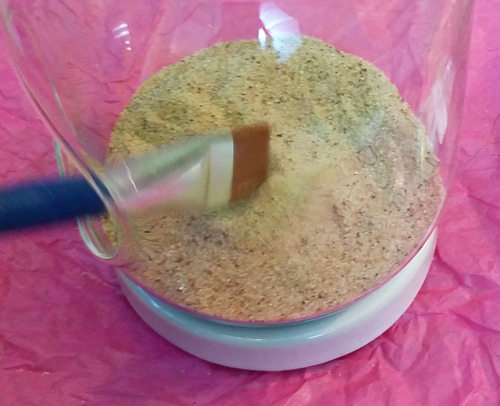 Following the directions, I first poured the sand in the vase. I leveled the same to make sure it was the same depth throughout. 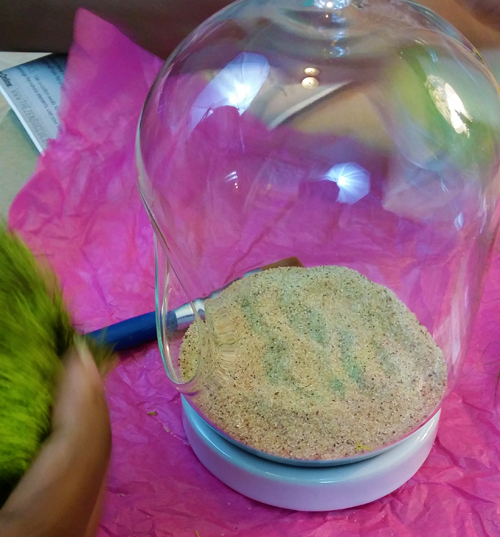 I used the small paint brush to brush off the sand off any unwanted areas of the inside of the glass. 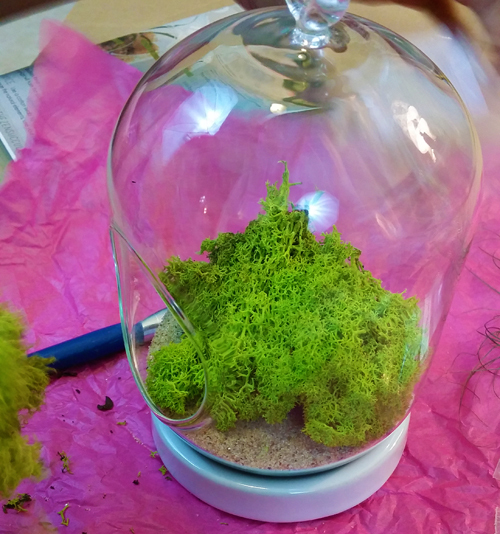 Then, I layered in the reindeer moss. 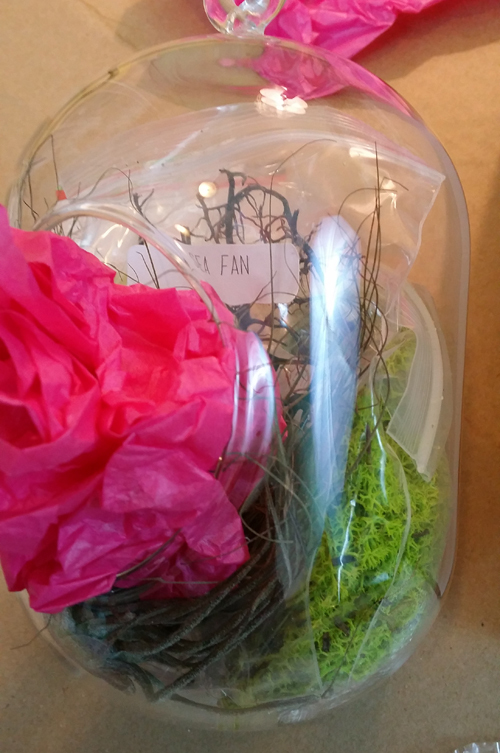 And now, here’s the actual air plant. 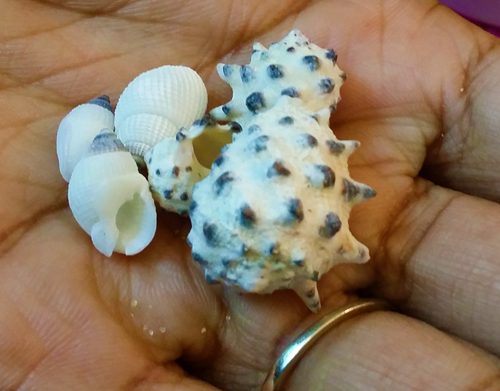 And these gorgeous little shells make me happy each time I see them. Doesn’t it look great? I am seriously in love with this thing! One thing that has always appealed to me about these kinds of plants, is the fact that it’s easier to take care of. I don’t need to water often, and when I do, it needs very, very little water. I can place it anywhere in the home (it moves around a lot), but I make sure to give it a little attention by the window for a hr or two every now and then. Honestly, I’m not sure if that’s the right thing to do or not, but it’s still alive and kicking! I’ve been having it for over a week now, and it looks the same (if not better) as it did when it arrived. It’s lasted 90% longer than any plant that I have ever owned, and I’ve owned LOTS of plants. I love how the green moss compliments yellow, white, and black. 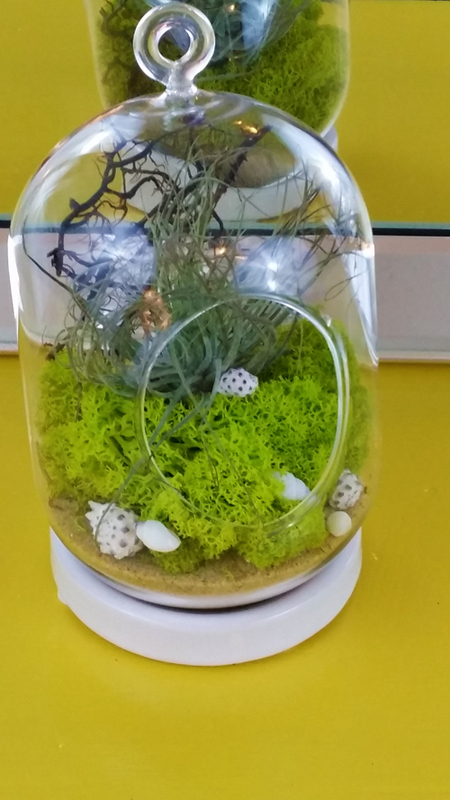 Terrariums are a great way to add a small pop of color. 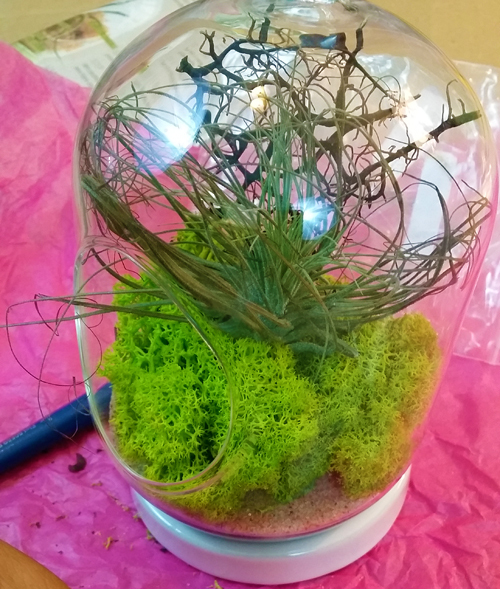 Thanks so much, the Zen Succulent, for providing me with this terrarium to enjoy. Hopefully I can have it forever! Go check out the Zen Succulent’s shop on Etsy to order your own. 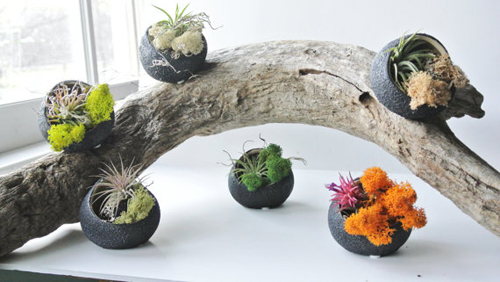 So, are you a fan of succulents and air plants? 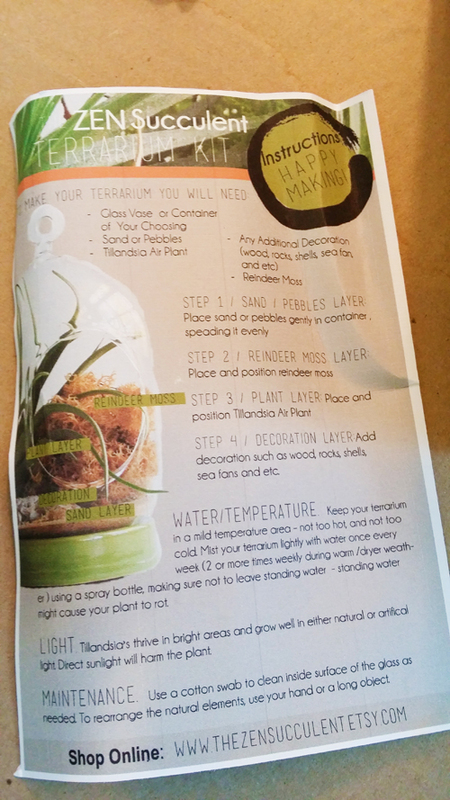 Do you have or want to have your own terrarium? Be sure to drop a comment and let me know. Hey girl! You gotta check out the Zen Succulent’s shop! 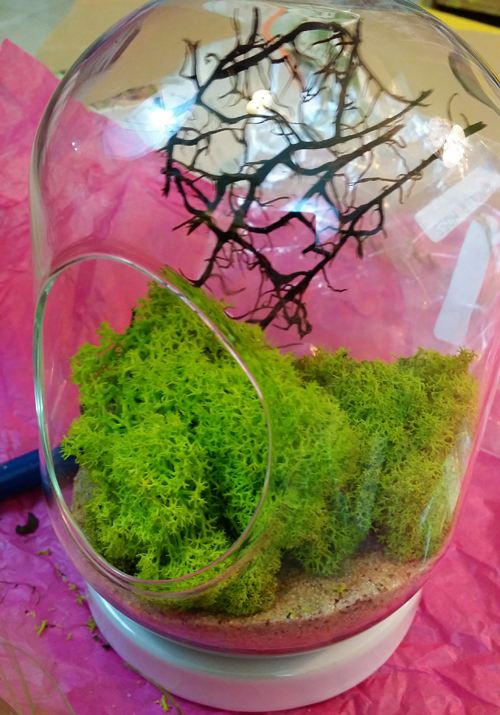 They have amazing terrariums at great prices!